Joining an advertising network is one of the best ways a small site can generate advertising revenues. With no advertising sales staff, the best recourse for small online operations would be to outsource the process of selling its ad inventory. This is best accomplished by the ad networks, which provide the sales force that sells space on member Websites to advertisers and media companies. Like all other creatures, however, advertising networks such as Google Adsense, Federated Media, Burst Media, Chitika or Kontera are created differently. Some are geared towards high profile and high-traffic sites. Others work on a direct-response model, while some specialize in niche markets, or alternative advertising venues. And as with television, radio and print, there are ad networks specializing in remnant space, or unsold leftovers. Since its inception a few years back, ad networks have morphed into a variety of formats. The services offered by ad networks have kept in step with the increasing sophistication of the Internet and its users. From simply placing banner ads on sites, ad networks now integrate email campaigns, rich media, and even demographic profiling. Ad networks are slowly transforming into full-service agencies. Like any other business decision, joining an ad network requires systematic research. It is important that you carefully investigate the quality of the ad network before signing the contract. You also need to check the capability of the network and verify whether it really does have the sales force required to sell advertising inventory of member sites. There are a number of ad networks that are nothing more than a person with an HTML editor. Go to a number of sites that review ad networks, such as ClickQuick.com and AdBility.com to get a first-hand account of which networks to go to and which should be avoided. 2. Timeliness of the payment schedule. The timeliness of payments is often the source of complaints from participating sites. Watch out for networks whose payment schedule is quite slow. While 45 days after the end of the month seems to be the norm, there are a few networks that pay as late as nine months after the end of the campaign. Choose a network that pays like clockwork. 3. Ad revenues per traffic. Different networks offer different CPM, CPC and sponsorship rates. Some networks offer lower commissions compared to other programs. Determine if the commissions are commensurate given the traffic levels and demographic targeting. From a unique visitor standpoint, determine if the ad revenues may offset the inconvenience of the visitors in viewing the ad frame, pop-up ads or full-page ads. 4. Flexibility of ad delivery. The ideal ad network provides its members with the ability to choose exactly what ads are going to run on their site, how long each available banner will run, and even provide the weight to give it within the rotation. Check if the advertising network offers a variety of basic ads that you can set up to rotate throughout your web site. It is also important to determine the level of control the network provides in choosing the campaigns to run on your site. Look for a network that allows you to choose which ads from their pool of advertisers to run. Some networks offer tools that give you the ability to block potential competitors that may be advertising, or block advertisers that you think are inappropriate for your audience. Some may be running ads of products you do not want associated with your site (e.g. banner ads for gambling and casino sites running in your family-oriented site). Ad networks often get a certain percentage of your ad revenues, depending on the contract you signed. Assuming for example that you agreed to a 50 percent commission, you will only be getting half of the revenue gained from the 25,000 impressions served on a $0.50 CPM banner, or net earnings of $6.25. 6. Ability to sell out ad inventory. Be aware that many ad networks are often unable to completely sell out their inventory. Their ad sales seem to be cyclical with web sites reporting that inventory sold can be as low as 50% and as high as 100%, depending on the season and current ad market. To fill up your unsold space with ads, some networks serve a blank banner (which of course pays nothing) in your ad tags, a banner advertising the network itself (no fee as well) to a variety of affiliate program banners (which pay on a per sale or per lead basis). Basically, some ad network participants are stuck with whatever banners get inserted into their pages. 7. Quality of ad campaigns. Whether you like it or not, the kind of advertisers presented on your site speaks volumes on the quality of your site. Avoid networks that offer mostly “remainder” campaigns (think blinking ads!) 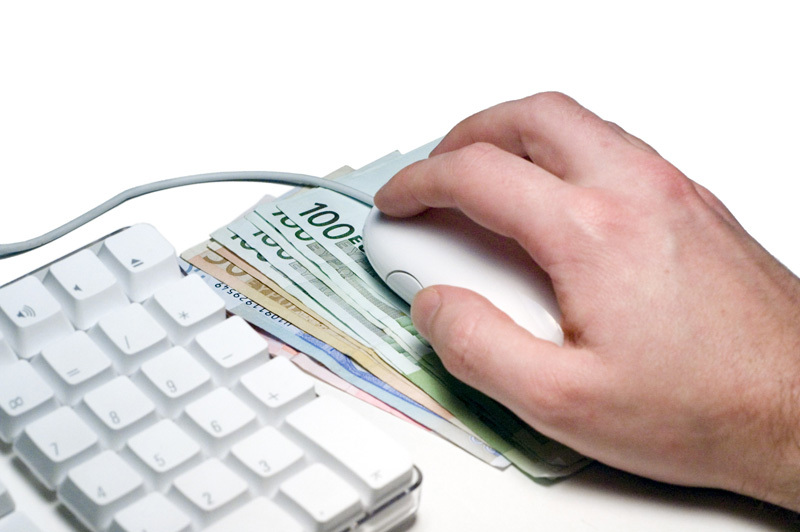 with relatively low CPM rates, “pay-per-click,” or “pay-per-sale” deals. You also have to consider how intrusive the ads are, and how they will affect usability of your website. If the ads are driving away customers, you may need to rethink them. Most networks require that their banners be placed within the first 250 pixels of a site where visitors can see the banner without the need for scrolling. However, keep in mind that Google can penalize your site if the ratio of the content with ads above the fold is “too high” (what percentage, nobody knows, but if users mostly see ads and will have to scroll down to see the content, then that’s pretty much on the high side). Look for the network’s conditions for exclusivity of ad banner in page, and whether you can use other banners within the page. There are some ad networks that require placement of their banners on the choicest spot in the first page of your site. Google Adsense allows only 3 banners on a page. 9. Form of banners and advertising materials served. The 480×60 banner is the commonly used banner served by ad networks. Some, however, allows the use of buttons and other banner sizes. Still, there are networks that serve full-page ads (which usually have higher CPMs), pop-up ads and even text ads. Other networks require that you place a search box in the first page of your site in addition to a 480×60 banner. Be discriminate in agreeing to the form of ad banners that will be served on your site. Pop-up ads, for example, may irritate some visitors. Read carefully what the ad networks will put on your site when you install their code. Chitika, for example, puts mobile ads that cover the bottom of your page when your site is viewed in a mobile device — even if you think that the code you placed was simply for a medium rectangle. 10. Quality and reliability of advertising performance report. Your ad earnings will depend on the accuracy of the reporting and statistics used. Some networks offer several types of in-depth reporting on the performance of the ads, allowing you to easily determine how well each advertiser is working for you. There are those that provide you with detailed information on how all the ads are performing, including the number of ad impressions and click-throughs, a daily and hourly summary of traffic, and information on which IP addresses are viewing and clicking on ads. Other networks provide information on individual advertisers, and how their campaign is progressing, including ad impressions, clicks, earnings, and current payment status. They also highlight potential advertisers that are considering your site. Some networks demand exclusivity in representing your site, while others offer you the option of signing an exclusive or non-exclusive contract. For some networks such as Burst! Media, an exclusive contract does not necessarily prohibit you from making advertising sales directly yourself, but you will not be allowed to use other network agents. Google Adsense prohibits its publishers from putting on the same page ads that mimic the look and feel of Adsense. Like any business relationship, your needs and circumstances may outlive your ad network. If you signed a six-months contract, for example, verify how you can terminate the contract. Determine if there are penalties for backing out of a contract early. It is important to understand that ad networks can kick you out of their program as well. Google Adsense, for example, is well-known for terminating publishers. The site may be generating invalid clicks, publishers clicking on their own ads, or sites with content that violate their policies, among other reasons. Or the ad network simply do not have advertisers for your niche, so they are letting you go instead. Always have a back-up plan and a fall back position in the event that the ad network decides to terminate your account.